Flac player (Free Lossless Audio Codec) is basically a format for audio coding. It is an open source. This format has the ability to compress the audio without much affecting the quality. If you were to compress the audio file, the Flac would normally let you shrink the file size to half of the original size. So if you are thinking that it is similar to WinZip, then you are correct. But, as Flac happens to be specially made to take care of audio files, it will do better than WinZip in the sound domain. So this compressing wouldn’t compromise with the quality. As this is open-source, new versions keep on getting released from time to time, and a lot of improvement can be seen. There are some fine players that are available for Flac on Windows Operating system. So all the Audiophiles, be geared up to find the best flac media players available for the Windows Operating System. VideoLan Player (VLC Media Player) is another popular player amongst the users. VLC player supports FLAC format for audios. The player also has the ability to support video files. The player comes as a robust media player supporting a range of file formats. The flexibility to run almost any type of file makes it a winner from the list of other media players. VLC media player is certainly a major player in the game with wide offerings. One major advantage that it holds is that it is free. People just cannot get enough of VLC media player. It can play almost any format of an audio file. VLC media player can be run on multiple platforms like Android, Linux and iOS. You don’t have to worry even if you do not install the software on your machine, you can still run it from an external device like USB. VLC media player has been integrated with certain streaming channels, and this certainly strikes an advantage for the VLC media player. 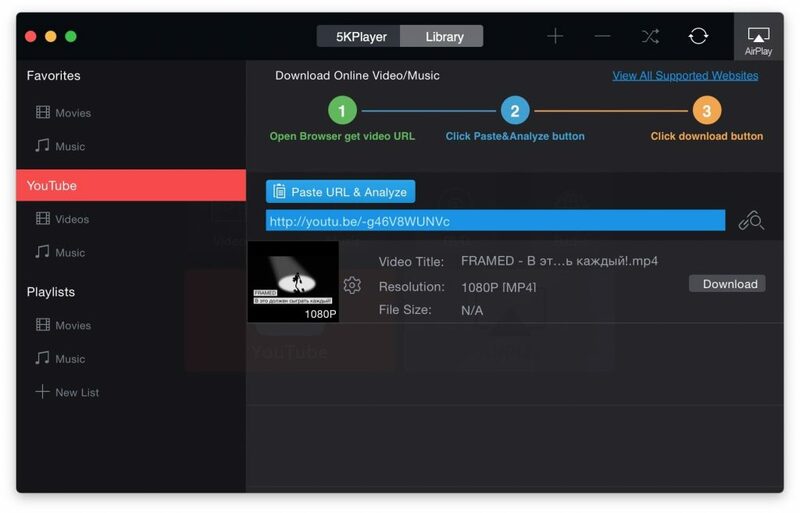 The interface for the player is not a high-end one, so if you are looking for a player that can be customized as per your whims and fancies, then VLC media player may not be the player for you. But, if your concern is playing FLAC files or even other files, then this is one media player that you need to store it on your machine. GOM Media Player comes next in the list of free FLAC players for the Windows operating system. With GOM Player you can easily play any FLAC files and also a wide range of other format files easily. It is one of the best platforms that offer advanced features to run media files. GOM Player is a freeware that comes with an interactive GUI and provides you with lots of customization options. You can easily play HD format files with the help of GOM Media Player. The player also offers lyrics support and enable you to synchronize music files. The GOM player also offers text-to-speech output functionality to help you easily convert any file in audio format. The player offers you the facility of playing your FLAC files or as a matter of fact any format files in a continuous repetitive loop with the help of “A-B repeat” functionality. GOM Player even plays damaged or locked files without any difficulty. It also allows you to stream media from the internet, thus maximizing your media experience. foobar2000 is one of the best Flac audio players available for Windows Operating System. Foobar2000 is a freeware. The player is best admired by the users for the customization settings that it comes up with. The player just provides customization options in an unimaginable way. Users just love the interface because it can be operated with minimum efforts. There are advanced features that will help you to change the layout. Developers will have the liberty to change the interface and get a new look as per the requirements. The player has got the ability for advanced tagging as well. For all the lazy people, the player comes along with few keyboard shortcuts that will save your time and efforts. Along with the FLAC format, there is a range of other formats that will be supported by foobar2000. If you like to organize your things better, foobar2000 will let you do that as it offers a provision to create folders and handle media library. The player can handle a lot of content, so for people who have a large playlist with customized settings, this will be proving as a great player. Users will also find Gapless playback feature along with ReplayGain. ReplayGain is basically a feature that would adjust the volumes automatically, without you having to change as different songs have different natural volumes. Users can find new releases for the player at regular intervals. Amateur users may struggle in the beginning, but once they get a hang of it, they will be able to work smoothly. Winamp is one of the oldest media players available in the market for the Windows operating system. With the course of time, Winamp has managed to release new versions to accommodate new features. Winamp was one of the most popular player used, but things changed as it could not excite the users anymore. But, the latest release may spark the fire amongst the users. Winamp is certainly one such Flac player that will let you feel if you time-travelled to the old days, and drive you all nostalgic, all you need to do is just apply the old skins. The player may just consume more space than expected in your machine for the song library. Users can manage the playlist with ease. If you seem to be more serious about the music that you listen to, then you may also rate the music and think of organizing the player well. Users can find information related to tracks, artists, and album from the player. So, all in all, the user can take care of his music library well with the help of the player. If you happen to have digital device like iPod or any other, then you will be able to sync the Winamp player along with these devices. Importing the playlist is also quite an easy experience. If you ever wanted to surf online, you can do this as well with the Winamp, as there is an online browsing provision available. The switching of browsing and song-playing has been made easy, so you can listen to songs and navigate simultaneously with minimum efforts. You can even listen to some online radios. If you play with some settings on the interface, you will understand that customization options are quite appealing. You have the control to choose the length of the information on the browser. The player also has an improved video player that looks quite strong. Winamp has many versions to offer, including a paid version. MediaMonkey is another perfect media player available to run flac format on Windows Operating System. Once you get the player, you will see a default interface. The default one is quite simple to an extent that people may even not find it that interesting. But, users shouldn’t worry of this, as they will have a whole range of customizing options available. Users can get to change skins and apply the one that they like. The moment you install it, the application will search for audio and video files on the machine. Once it does that, it will fetch all those files. You can smoothly organize the files as you want with the necessary information. Users can also avail a paid version that is called as MediaMonkey Gold. But, basic version will offer you great features that will enthrall you for sure. You can manage the playlist, and if that falls short, you can even let the player find tracks from the device that is connected externally. If at any point of time you think that playlist does not suffice, and you get a craving to listen to more songs, then you can always switch on to online radio channels that are available. Users can control the volume for the tracks also. If you were to use MediaMonkey on the mobile device, it will be an easy experience. The application will work just fine, and you will be able to sync the player with your computer as well. 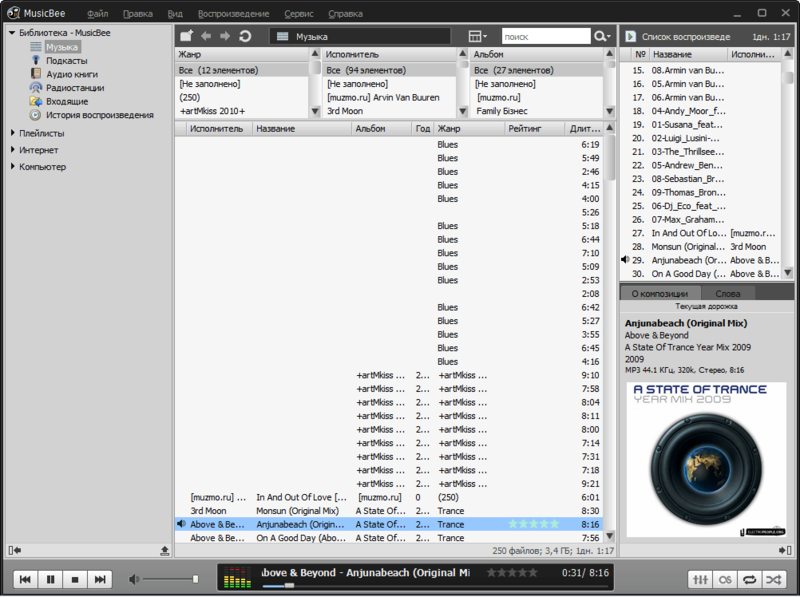 MusicBee is one fine media player that supports FLAC format along with some other formats on Windows Operating System. It pitches itself as a player for music management. 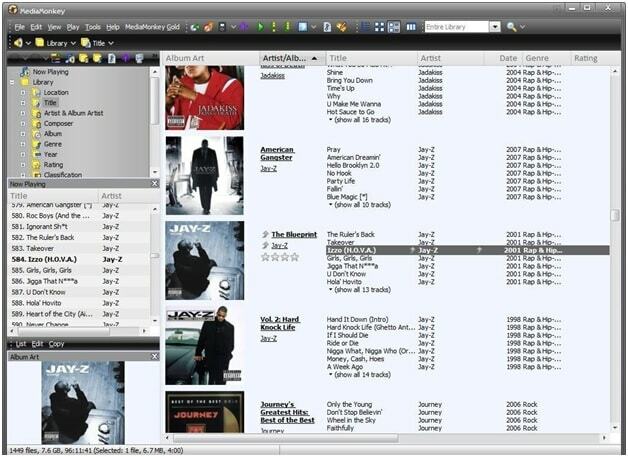 MusicBee can be installed on the machine without any complications. MusicBee also comes along with features like music management, music conversions, automatic playlist, automatic tagging and CD ripping. You can even tag manually. After running the installation, you can choose to import the music files from various other music libraries as well. Once you do that, you can organize your files as well. If you want to change settings with regards to sound, then you have the equalizer available, and if still, this doesn’t cater to your requirements, you may think of getting additional plugins from other players like Winamp or change the existing settings. Either you can create your own playlist, or leave it to automatic playlist creation. So far so good, but if you by chance happen to dislike the appearance, then you have the liberty to resort to customization and suit yourself. You can make the panels disappear if they tend to irritate you. To add more delight, you can change the skins for your player. But, you need to be cautious that if you meddle with the skin when the tracks are on, then the player will restart itself. The experience with using MusicBee is amazing and the features that it comes along are more than enough to make you happy. 5K Player is a top-notch media player available free for the Windows Operating system. The player allows you to run media files with High Definition, thus allowing you to truly enjoy your time while video viewing or listening to music. 5K player consists of two configuration windows that allow you to personalize your media experience. You can change the color and brightness settings in real-time when your videos are being played. The player lets you convert videos into MP3 or AAC file format, which is quite a unique functionality. 5K player also has an equalizer and tuner facility enabling to have an amazing audio experience. 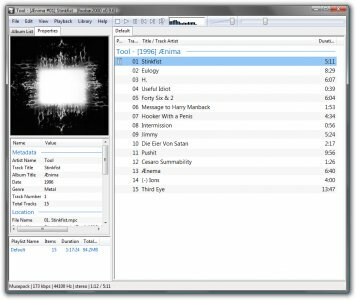 Trout is a great audio player that supports FLAC format for Windows Operating System. The player is also portable; this will save the headache of installing the software, although installing is quite smooth for Trout. Trout is such a player that runs on minimum resources and does not affect the performance of your computer. Users can create folders and arrange the files easily. You will be also able to manage your playlists well using Trout. But if you were to compare the above-mentioned players with Trout for library management, then this application may take a backseat. But you can still work with tagging, searching, and editing. The application is not as heavy as other media players. If you happen to have an account on Last.fm, then you can sync that with Trout. The player will work fine for the users who want a basic player with decent playing options. If you need a gaudy media player, then you might want something other than this. The navigation with Trout is simple and performing tasks related to tracks can be done effortlessly. The application is certainly for people who want it simple and sorted. The application will also enable you to listen to online radio. Users will be happy to listen to stations where the songs are hand-picked by the music lovers. Users can even play podcasts. iTunes is an application that is equally compatible with mobile devise, as it is on the computer. You can even sync devices and get music from multiple platforms. This is a great feature that many users bank upon to enrich their music experience. Users will also be able to play with information about the file. They can even play the visualizer along with the tracks. The experience in using the iTunes can be rated as one of the best. ZPlayer is an audio player that is built on Java platform, which supports a wide category of file formats including Flac. The player can be run MS Windows Operating System, Mac OS and Linux as well. The player is also quite popular amongst the mobile users, as it is used on the Android platform as well. Users can even get new plugins for ZPlayer, if users are too fascinated by Winamp plugins, they may get those as well. Users can even take control of the sound by changing the settings with the equalizer. There is a provision for conversion that is automatic between channels. As the application has been built upon Java, you need Java on your machine to run ZPlayer. Appearance wise, ZPlayer does not strike off as a high-end audio player. But, the player has got some great features that will simply overwhelm the users. Users can even get the player without any advertisements. The player will provide the users with the history of the songs played in the past. Based on the user behavior, the player can also suggest an auto-generated playlist. If you have an account with last.fm, then you can even utilize the scrobbling feature with ZPlayer. Apart from this, you can even try listening to songs from the online radios that are available. Not familiar with English? You can expect support in some other languages as well. If audio was not enough, you can even play videos with the player. The player is certainly worth a try. JetAudio is just another music player from the list available for Windows OS that will support FLAC format. The player also supports a lot of other file formats that are available for multimedia. JetAudio has been in the market since a long time. JetAudio has a simple user interface which is very convenient to operate. One of the most intriguing features of the player is that its interface has 10-band spectrum visualization that acts an Equalizer to help you play different genres of music like Rock, Jazz, Pop, Classical, Vocal and many more. Just name a format, be it audio or video, you will find that JetAudio has a provision to support it. It also helps you to record sound with abundant sound effects. You can also perform the action of CD burning and data conversion. The player provides you with excellent personalization options. You can choose from wide variety of layouts to make the interface even more attractive. JetAudio also provides you the flexibility to create and design your own skins using JetAudio Skin Development Kit (SDK) feature. Some of the additional features of JetAudio include visualization plugins that help to display animated visualizations in sync with the music being played. The player also provides lyrics support that provides you the ability to generate synchronized and unsynchronized lyrics for your music file. The only drawback of JetAudio is that it doesn’t provide you the option of device syncing. You cannot even sync JetAudio MP3 players with the audio player. Pot Player is one of the best media players available for the Windows operating system. Pot Player allows you to play different formats of files be it audio or video including FLAC files, with ease. It provides you with excellent functionalities with customization options. Pot Player has a multifaceted interface with lots of options displayed for your use. It offers various playlist controls to personalize your media experience. With Pot Player you have the liberty to play audio and video files continuously. You can decide the starting and ending point of the file you want to repeat and Pot Player will use the A-B repeat feature to carry out the process. You can use Pot Player to process and use the function of de-noising to get a clear audio file. It also enables you to play partially downloaded or damaged without any difficulty. Pot Player also comes with a unique feature called as “Hardware Acceleration”, with which you can boost the CPU’s speed to play heavy audio and video files easily, you are certainly to fall for this feature.